The Tonebone Hot British is tube distortion at its best! Fashioned from a modified Marshall double-stack plexy, the Hot British delivers five decades of brute power for everything from scooped-out chunky rhythm to screaming sizzling hot lead tones. 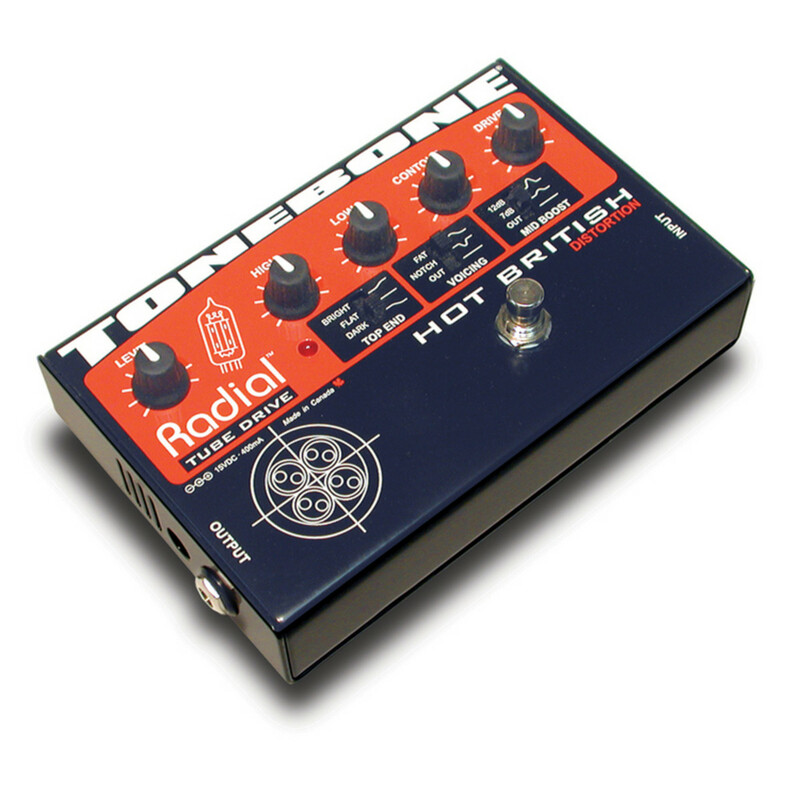 Based on high-gain amplifier designs, the Hot British employs a triple hybrid gain stage that combines the control and dynamics of solid-state with the warmth and harmonic generation only possible from a real 12AX7 tube. This unique design produces ultra-rich harmonic textures and full-on saturated tube settings without the mud or noise that is typical with other pedals. Listen and you will hear how each note retains its distinctiveness and clarity, right down to the lowest notes. Switch on the Contour, dial in the interactive EQ and wham! Enter a world where huge, musically rich tones that you never thought possible magically come alive. No other pedal delivers more - no other pedal even comes close! Gives you that mega-stack-on-eleven sound! 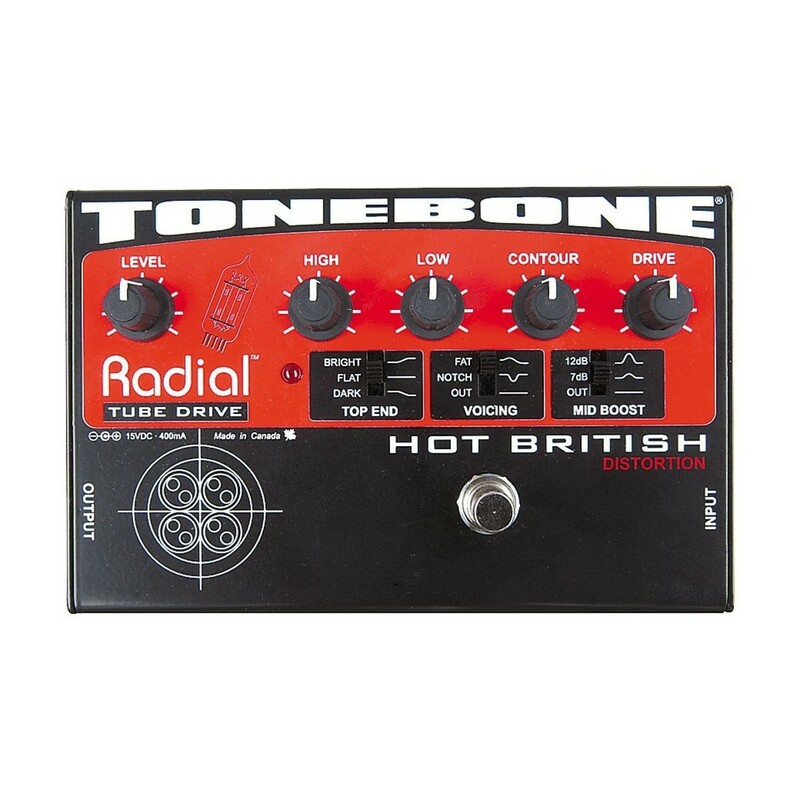 Built like a tank yet small enough to fit on a pedalboard, the Tonebone Hot British is the world?s most compact tube distortion. It is in fact a hybrid that combines the control of a triple-stage solid-state front end with the warmth and natural even harmonic generation of a 12AX7 tube. The tube is mounted on its side to keep the profile low for easy pedal action. Power for the Hot British is provided by a external 15VDC supply and is regulated and filtered internally to eliminate hum and noise. 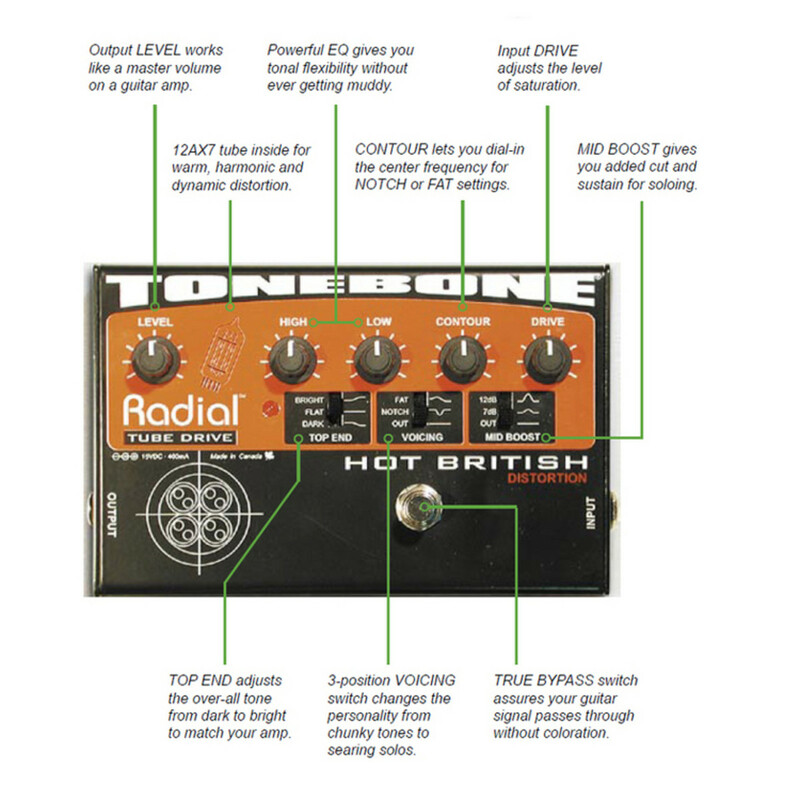 To further reduce 'self noise', a unique ground plain circuit topology is employed, making the Tonebone Hot British one of the quietest pedals in its class. Tonebone is also built tough - 14-gauge steel construction reduces stress on the PC board and a baked enamel finish will keep your Tonebone looking great for years!